Sometimes you stumble across a great place. 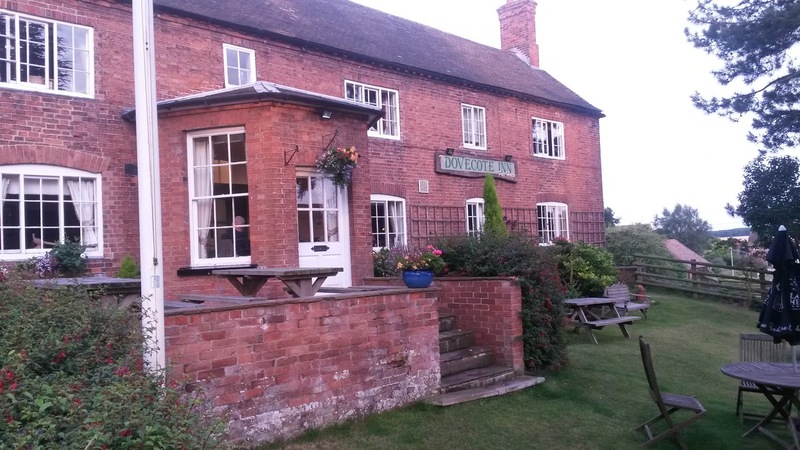 We'd hoped to visit the renowned Fountain at Tuxford which we've been debating a visit to for months only to find that they we're serving food and were in the process of changing ownership. This prompted the "Where could we go" question being in the North of Nottinghamshire and not 100% sure on where would be a good option. On arrival at the Dovecote we could see a really well presented pub in a great location at the heart of the village. There's a tourist information centre next door too and just down the road is the Holocaust centre of Beth Shalom if you're looking for something different to spend a lazy Sunday afternoon. On arrival at the Dovecote Inn we were impressed by a clean, friendly atmosphere. Even though we hadn't booked the team were extremely accommodating and whilst we were only a couple looking for that table for two they still went out of their way for us. On tab were a small but targeted selection of four ales including Black Sheep, Everard's Tiger and Castle Rock's award winning Harvest Pale so there was plenty to tick the box of a real ale lover out for a nice meal. Food wise we opted for Thyme Roasted Pork Loin Steak which was served with Parmesan infused mashed potatoes, steamed seasonal vegetables and an apple salsa Verde for £12.95 and Lamb Tagine with slow braised tender lamb in a classic, lightly spiced Moroccan style tomato and chickpea sauce served with herb yogurt bread for £12.50. Our meal was fantastic, the Thyme Roasted Pork was a beautifully put together dish with a fantastic piece of meat and a nice tart apple salsa Verde that really complimented the pork. 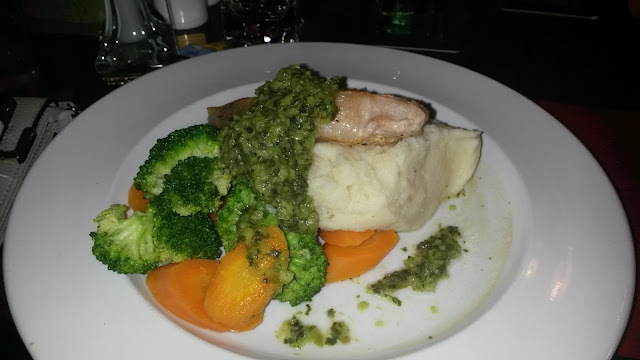 It was a dish that you'd happily eat as Sunday lunch and of a good size too. The real highlight for us was the Lamb Tagine. 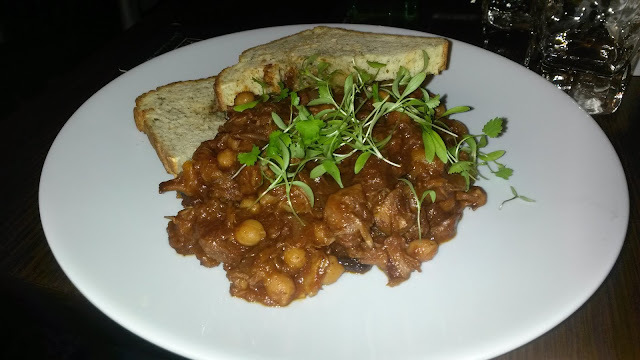 Flavoursome slow cooked lamb in a lovely spiced sauce with chickpeas it was a real delight. Filling yet not heavy and exceptionally tasty. We had a fantastic meal at the Dovecote Inn. We'd certainly go back with family at some point as we feel the varied menu and hearty food will satisfy plenty of grumbling stomachs or fussy eaters.